Soy Products | Is it vegan? This section is about tofu, yuba, okara, tempeh, natto and soy meat. Information about soy milk can be found in the Dairy Alternatives section. 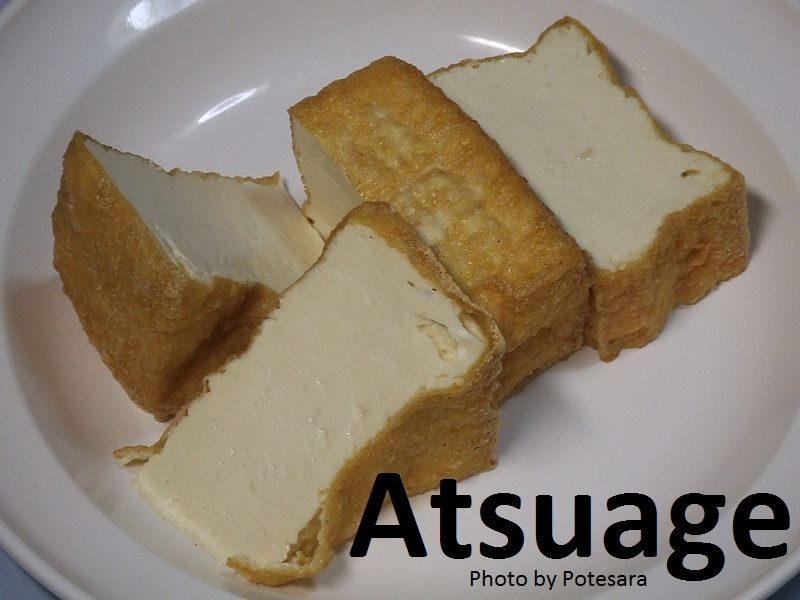 Of course there is also regular firm tofu (木綿豆腐 / もめんどうふ – momendōfu) and soft/silken tofu (絹ごし豆腐 / 絹漉し豆腐 / きぬごし豆腐 / きぬごしどうふ – kinugoshidōfu). 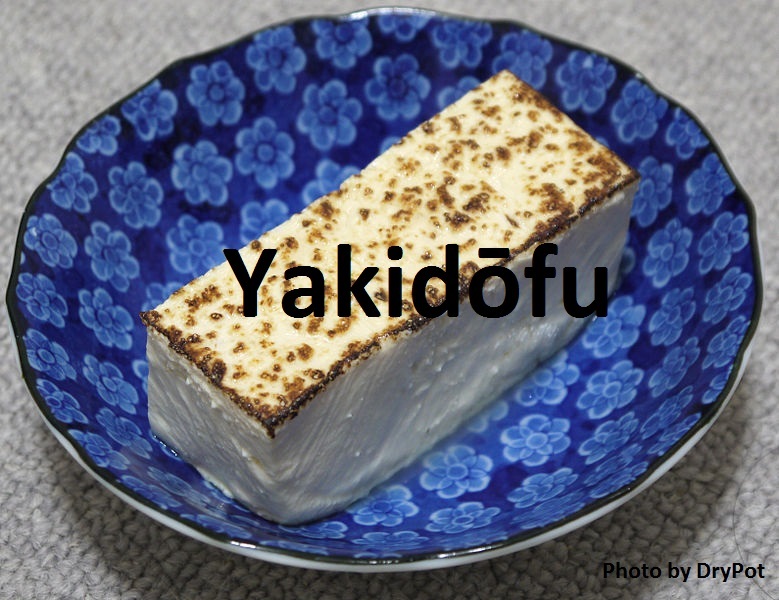 While tofu is abundant in Japan, it can be difficult to identify tofu that is calcium set or calcium fortified. The product packaging usually has no nutritional information (such as calcium content) and may also contain very little information about the material used as a coagulant. Below are some examples of this. • Machida Shokuhin Yaki Tofu. Ingredients: Soy beans (non-genetically modified), coagulant. • Aoki Yaki Tofu. Ingredients: Round soy beans, tofu coagulant, anti-foaming agent (glycerine fatty acid esters). • Jūten Silken Tofu. Ingredients: Soy beans (non-genetically modified), coagulant (magnesium chloride (nigari)). • Kyoto Firm Tofu. Ingredients: Round soy beans (domestic)(non-genetically modified), coagulant (magnesium chloride, calcium sulphate), antifoam (calcium carbonate, glycerine fatty acid esters). You can also buy freeze dried tofu (高野豆腐 – kōyadōfu) in Japan, to add to dishes such as soup. • Misuzu Dried Tofu. Ingredients: Soy beans (non-genetically modified), coagulant, baking soda. 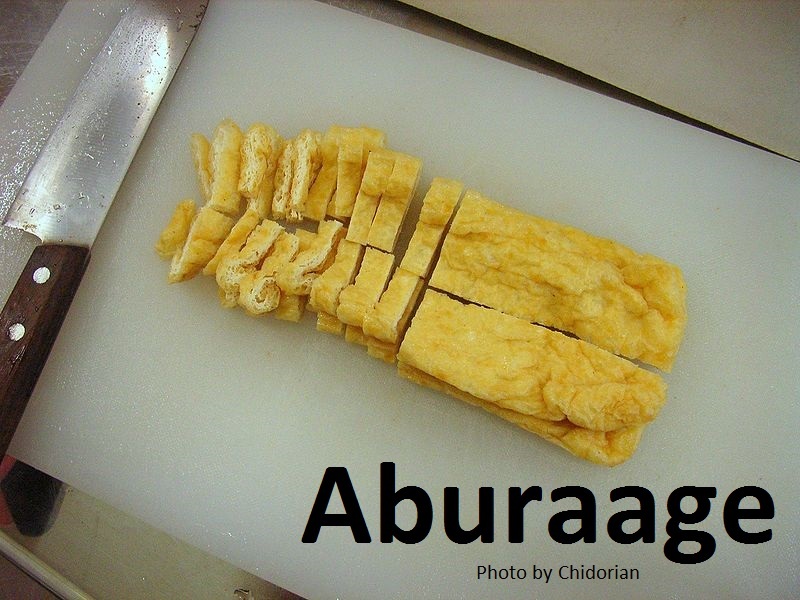 Yuba is similar to tofu, but is made without a coagulant. It can often be found in the tofu section of supermarkets. • Yuba. Ingredients: Round soy beans (from Canada (non-genetically modified)). Okara (soy pulp) and okara powder can be found in many Japanese supermarkets. It can be used as a thickener in dishes like soups and stews, to make vegan burger patties, and in baked goods like cookies and cakes. Below are some examples. • Kyoto Style Okara. Ingredients: Soy beans (domestic, non-genetically modified). • Top Valu Okara Powder. Ingredients: Soy beans (domestic). Tempeh can be found in some supermarkets, and in organic/natural stores. 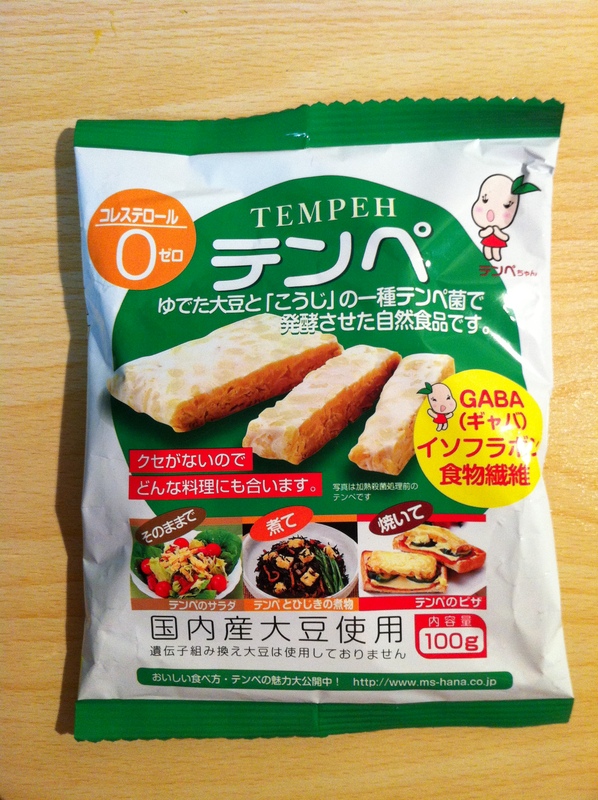 Below is an example of tempeh available in Japan. • Tempeh. Ingredients: Soy beans (domestic, non-genetically modified), tempeh fungus, rice vinegar. Nattō (納豆), made from fermented soy beans, is definitely an acquired taste (and texture). 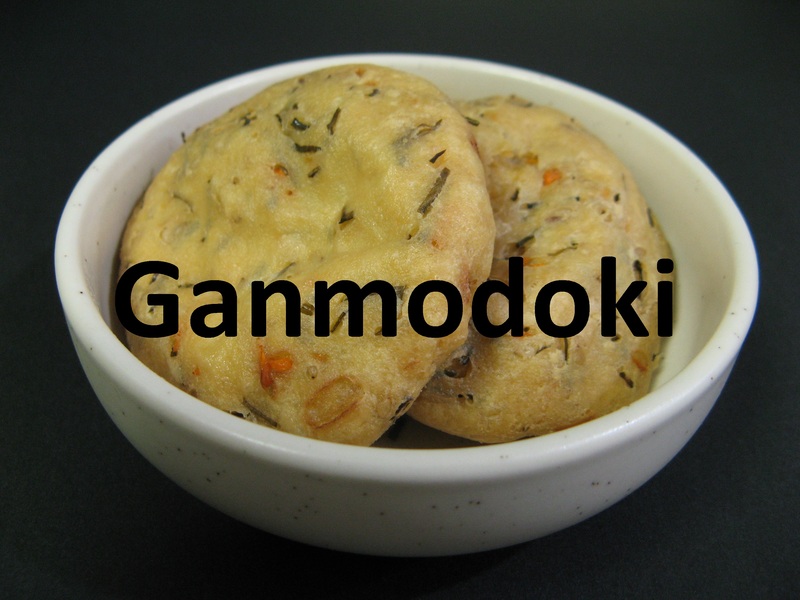 Many people can’t eat it, but if you can that’s great as it is available almost everywhere in Japan, including supermarkets and convenience stores. Just be careful because the accompanying sauce often contains fish. Look for かつお節エキス (dried bonito extract) in particular. Below is an example. • Ground Nattō. 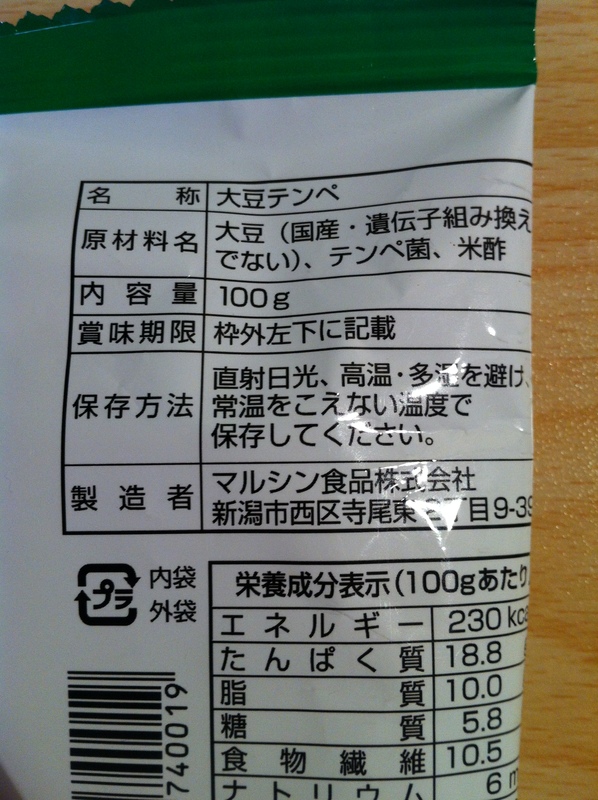 Nattō ingredients: Ground soy beans (from America or Canada)(non-genetically modified), rice flour, Bacillus natto. Sauce ingredients: Soy sauce, high fructose corn syrup, sugar, salt, kelp extract, vinegar, dried bonito extract, flavouring (amino acid), alcohol. Contains wheat. The amino acid may also be animal derived. Soy meat is usually only available in specialty stores and online, but sometimes it can be found in regular supermarkets. Below are some examples of soy meat available in Japan. • Ohsawa Soy Meat. Ingredients: Soy beans (domestic) non-genetically modified. • Maisen Soy Meat. Ingredients: Soy beans (domestic, non-genetically modified), brown rice (domestic).